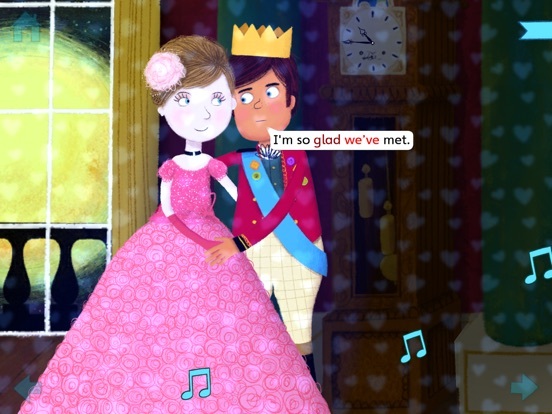 You know the fairytale. Now experience the magic! Created especially for iPad. 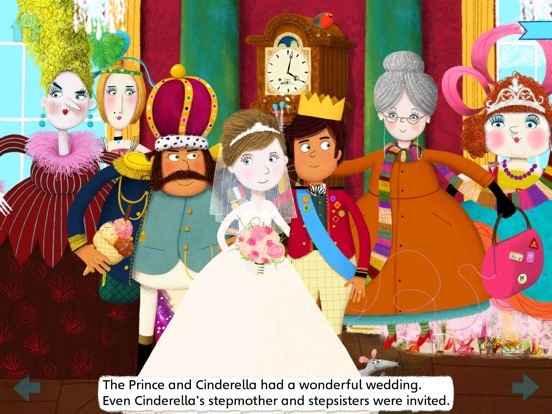 + Help Cinderella clean the kitchen. 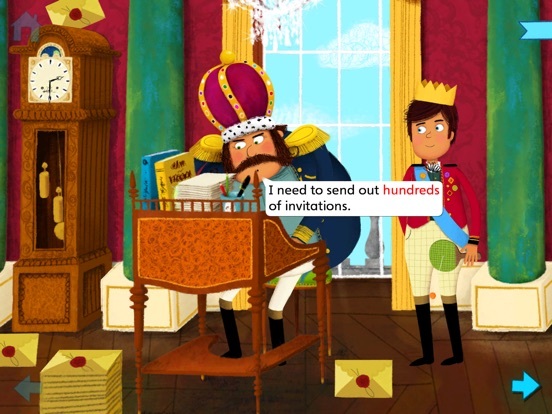 + Stack the King’s invitations to the ball. 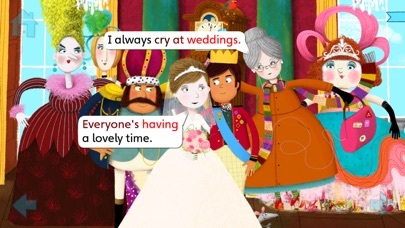 + Dress up the Stepsisters for the party. 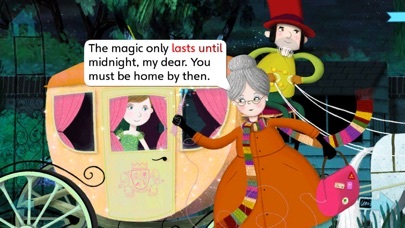 + Build the magical carriage with the Fairy Godmother. 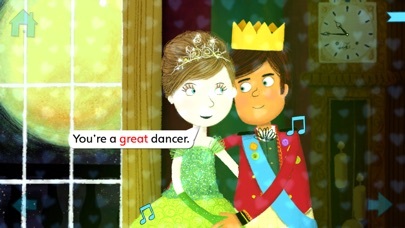 + Select the music for the Prince and Cinderella and watch them hit the dance floor! Do you want a waltz, disco or Bollywood? 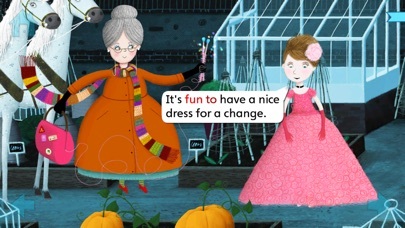 + You can even choose Cinderella’s dress! 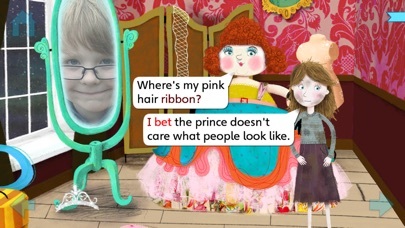 With the front-facing camera on iPad2 you can even see yourself in the “magic mirrors” in many scenes in the story! 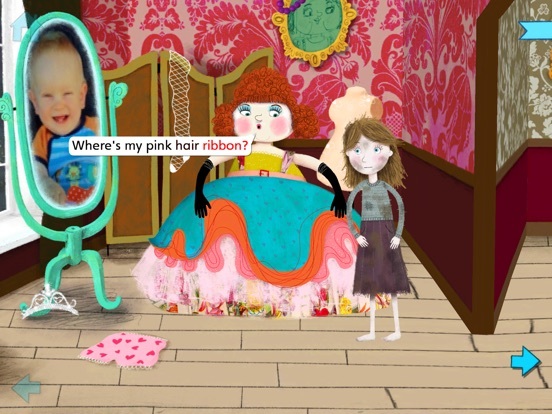 + Pick a reading mode: either Read to Me, Read by Myself or Read and Play. 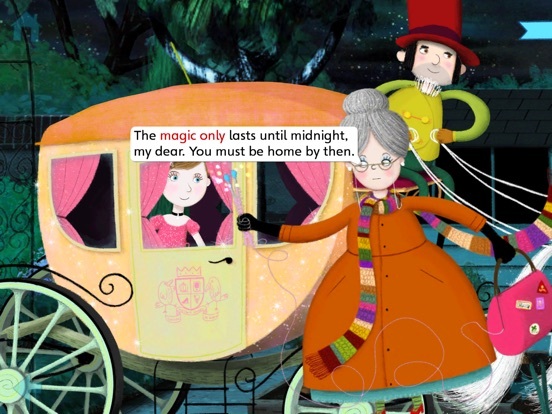 + Choose how long text stays on the screen so beginning readers have enough time to read by themselves. + Choose between American or British spelling styles. + Help is embedded into the story. 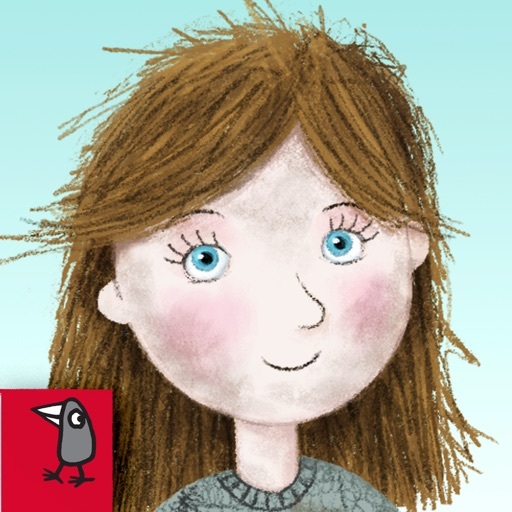 Characters offer hints about what to do on each page so even very young readers can participate fully. + Tap the characters to trigger additional dialogue.